We’re changing the way you fix timbers…how much time will you save? Did you know that there is another way to fix timbers - and it’s much faster than the traditional coach bolt method? Don’t take our word for it. Order your Carpenters Mate free sample today. Why use Carpenters Mate Screws? Carpenters Mate® is the original self-drilling wood screw. With no need for pre-drilling – and the correct drive tool included free with every pack – Carpenters Mate wood screws help make laying flooring and decking, carrying out loft conversions, repairing roofs and erecting fences quicker, cleaner and easier than ever before. We know that an efficient job is a profitable job. This is certainly the concept behind the Carpenters Mate range. Our screws are engineered to reduce installation time and improve efficiency - and they work every time. 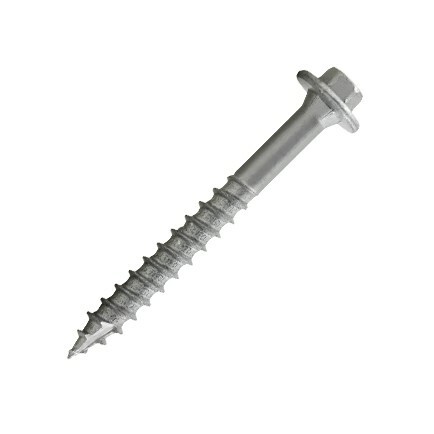 Designed specifically to provide a professional finish with standard UK timber sizes, Carpenters Mate screws sit flush with the wood and ensure a secure yet flexible connection that allows the wood a degree of elasticity to accommodate the stresses and strains of structural movement. Through our industry renowned reputation, reliable customer service and quality products, Carpenters Mate screws are revolutionising the way carpenters fit timbers all over the UK. It's a very good product, super easy, super efficient to use. We use them on every single one of our projects and love them! Want to find out more about the innovative Carpenters Mate Screw? We’ve assembled a list of frequently asked questions. 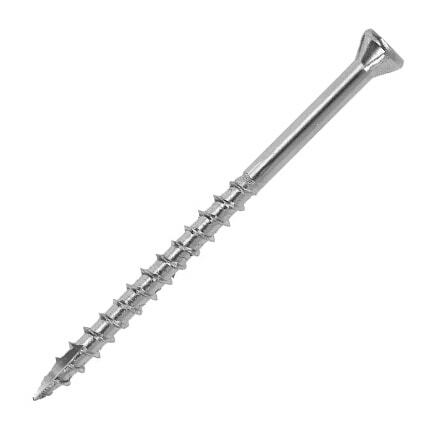 If you’d like more information on our screws, get in touch with us on 08452419862. 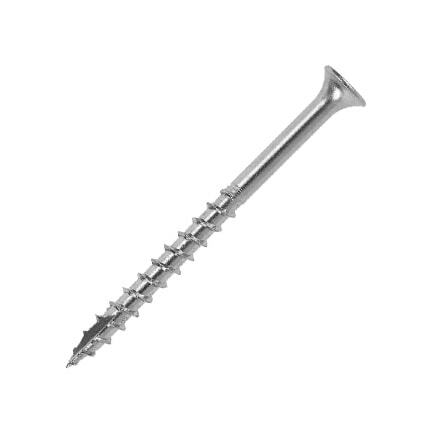 Carpenters Mate wood screws help make laying flooring and decking, completing loft conversions, constructing roofs and erecting fences quicker, cleaner and easier than ever before. They’re ideal for any project that requires a strong timber-to-timber connection. Are these screws as strong as traditional nuts and bolts? Yes - Carpenters Mate screws are just as strong, if not stronger than coach bolts timber connections. Our screws are all EN 14592 Compliant so you can be sure that your timber structure is extremely secure. You can use the CalcuMate App to see how many screws are needed for each joint to meet the industry standard. How many screws will I need per joint? If you're not sure how many Carpenters Mate Pro Hex screws you need for your loft conversion, CalcuMate can help! CalcuMate is our easy-to-use online loft conversion and multiple member spacing calculator that makes it super easy to calculate how many screws you need to get the job done. And best of all, it’s completely free! Simply enter the requested information about your conversion, such as the roof pitch and number of bolts to replace, select the type of join and CalcuMate will work out how many screws you need to complete the project. You can also save your calculations and view them at any time – making it the ideal loft conversion calculator for carpenters and tradesmen. Visit http://www.mycalcumate.co.uk and make planning your loft conversion a piece of cake. Carpenters Mate screws are engineered to ensure they work, every time. Our Pro Hex Head screws and HD Hex Head Screws are made from C1022 steel, which has a higher carbon and manganese content than C1020 providing greater strength and ductility. We also offer a grade 316 stainless steel hex head screw that has a higher % of titanium for increased anti-corrosion properties. 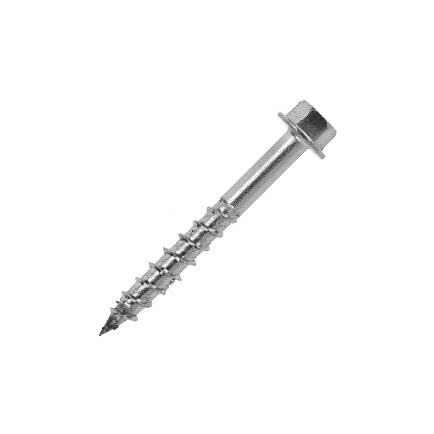 The screws are also case hardened which, as the name suggests, provides a hardened case for ease of drilling whilst still retaining ductility to move without snapping. Fixing timbers together using the more traditional coach bolt method is a tried and tested approach that works, but you’ll need a drill, a hammer, washers, nut and bolt and a spanner for the job. On top of this, you’ll need to drill a hole into your timber, line up the intermediate washer, hammer the bolt through the hole, place the square washer on the back and finally tighten the nut, and repeat. This is a lengthy and tedious process - and that’s if you can access the back of the timbers! With a Carpenters Mate screw, simply zip the screw into the two adjacent timbers and that’s it! No washers, no predrilling, no hassle. FASTER FASTENERS FOR THE TRADE BUT HOW FAST? We manufacture and supply fasteners and wood connectors that outperform conventional screws, bolts and fasteners. We're a British company, established in 1998 to distribute FastenMaster self-drilling fasteners, manufactured in the USA. We're still the exclusive importer and distributor for the entire product range. However, we saw there was a need for a comprehensive British made range of first-class corrosion-resistant screws and fasteners specifically for UK timber sizes, so we set about researching the market. We're proud to say that our Carpenters Mate self-drilling screws and fasteners have taken the UK trades market by storm. 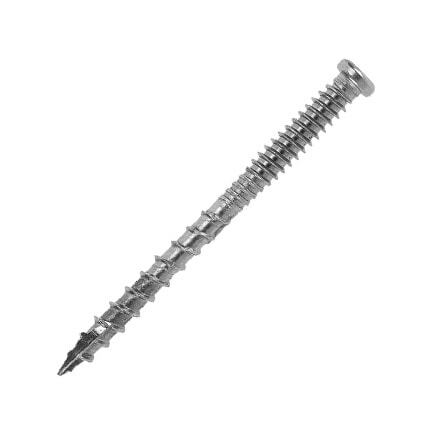 We're also the name behind the Orbix range of self-tapping screws for electricians – screws proven to make electrical installations faster and, because Orbix screws don't snag or chafe at cabling, safer too. In 2013 we became the exclusive importer for the CAMO hidden deck fastening system. An overwhelming success back in the States, CAMO makes quick work of decking projects and gives the perfect finish: no visible screw heads or screw holes. We're always working on new products, talking to carpenters, builders, electricians and other tradesmen to find out what they really need to make their work faster, easier, safer and stronger.